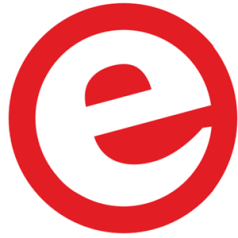 It’s funny to reflect for a moment that Fast Forward, the startup platform powered by Elektor, was once a niggling startup itself (in fact, no more than scrawling on a beer coaster). After two highly successful performances at the 2016 and 2018 electronica trade shows, the Fast Forward platform acquired status as totally innovative and is now rolled out again jointly with Messe München at productronica 2019 from 12-15 November. The team behind Fast Forward are proud of their achievement since 2016 and sincerely believe that their feat can trigger you, a startup enterprise with a brilliant idea and ready to compete with others, to reach a large audience and launch marketing and sales engines for real. Elektor and Messe München are ready to help you. As we learned from 2016 and 2018 participants, bringing a product to market isn't easy. You need more than a great design. You need to raise capital, find partners, reach potential customers, and execute a marketing plan. 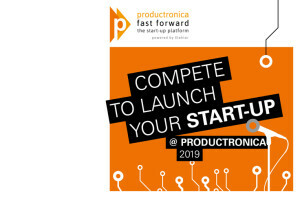 productronica Fast Forward, the start-up platform powered by Elektor (p-ffwd) provides exactly the platform to start the race against competitors from Pole Position. Present your innovative product or service at the Fast Forward booth at productronica 2019. Compete against other Fast Forward finalists for a €25,000 marketing campaign run jointly with Elektor. Engage potential partners, investors, and customers from around the world. Showcase your startup company to 250,000 ElektorLabs and Elektor Industry readers. Signing up to productronica Fast Forward, the start-up platform powered by Elektor is easy. Our experienced team of organizers, assistants, jury, sponsors, editors and lab engineers, are eager to evaluate your innovation and hopefully welcome you to a terrific event at productronica 2019 in Munich. productronica Fast Forward, the start-up platform powered by Elektor 2019 is also a great opportunity for everyone already in business to promote their product or service through a sponsorship, or doing a demo or presentation within the Fast Forward 2019 forum framework. As a productronica Fast Forward sponsor, you will receive a comprehensive media campaign comprising on-site productronica promotions, magazine advertising, online banners and more. A variety of sponsorship packages are available to meet your needs. Click here for more details. We’re ready to press the fast forward button — are you?